After sinking his teeth into the world of good food, Ben Hartman joined the Good Eggs team in November 2015 to lend a hand in our mission to reinvent your food system, for good. I sat down with our resident produce expert to talk unparalleled sourcing standards, the future of small scale organic farming, and lots and lots of king trumpet mushrooms. Let’s start at the beginning. How’d you first get your foot in the world of grocery? I’ve always been interested in growing food. Throughout high school, I spent my summers working on farms and had the privilege of spending a semester on an organic farm in Vermont. So when I came down to San Francisco, I took a job at Bi-Rite as a produce clerk and was excited to see that a grocer like Bi-Rite could support mission-aligned food businesses (like farms and producers with sustainable practices) by giving them access to a wider group of customers and championing their cause. 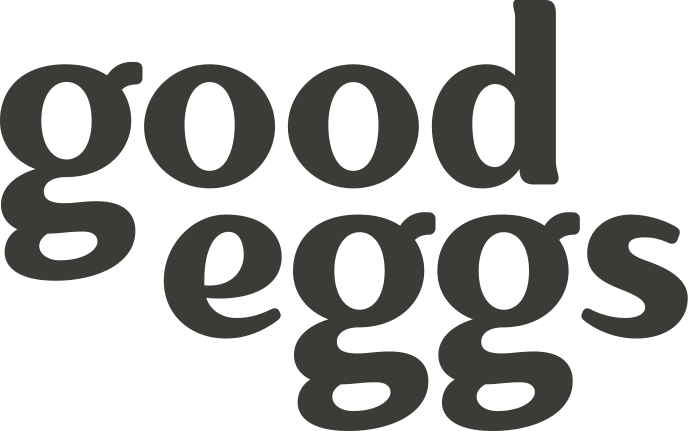 After spending some time immersed in that world, I moved to Good Eggs to lead produce purchasing where I could support a lot of those same food operations but at a larger scale by providing access to a wider group of customers geographically. I’m in charge of our relationships with all the produce farms and vendors we work with and making decisions around the assortment of produce that we carry. At an online platform like Good Eggs, I have the opportunity to market products in detail at every stage, so I can give the customer in-depth information about not only the piece of fruit itself, but also the farm it came from. And when a farm has a product they’re really enthusiastic about, I get to build excitement within our community and connect them directly with the growers and their goods. Online grocery is rapidly growing for many of those reasons, but there’s still work to be done around changing traditional behavior: How would you respond to the naysayers who really need to feel that peach at the store? Ultimately, quality starts with sourcing. You can touch every piece of produce and sort through every single peach at Safeway, but at the end of the day, you’re not going to get a peach that tastes as good as what Good Eggs provides. Our peaches are ripening on the tree and come directly to us instead of being harvested really firm so they can sit in a box and be shipped around wherever. Taste a Masumoto stone fruit that we carry, versus one you can get at the supermarket; the proof is in the peach. The model that we work with allows us to keep this quality and freshness up until the produce reaches our customers. Unlike the brick and mortar model, we keep everything in ideal storage temperatures until it’s ready to be delivered. At the grocery store, you might have strawberries that have been sitting out at 70 degrees for several hours, if not the whole day. Taste a Masumoto stone fruit that we carry, versus one you can get at the supermarket; the proof is in the peach. And because our goods aren’t sitting around on shelves, we can get them to our customers faster: Some produce is picked literally the morning of the day they get their order. That’s incredible! It’s summer, so obviously there’s an abundance of fresh produce in our chill storage right now. If you had to pick two things you couldn’t go without eating in August, what would they be? I absolutely love figs — the fruits that are all sugar and no subtlety, like the hachiya persimmons we’ll see in a few months that just turn into pure jam candy. And tomatoes, obviously. The dry-farmed Early Girls we just got in remind me of what a tomato should taste like. That’s a tough question, though. We’ll give you a few more. Maybe a produce staple you turn to in your kitchen for a quick dinner? You’re vegetarian, right? Correct. I don’t like to spend a significant amount of time cooking when I’m tight on time (most weeknights), so anything I can just throw in a hot pan with oil and salt is my jam. (Padrón or Jimmy Nardello peppers are the frontrunners at the moment.) That’s the type of cooking I like to do. Mushrooms are also kind of a go-to for me, especially King Trumpet mushrooms. I cut them into scallop-sized coins, take a super hot cast iron with high heat oil like coconut oil and brown them on both sides. If you give each side a score, it helps infuse a lot of the flavor that comes from the browning into the mushroom, giving it a bit of a meaty flavor and texture. I also make this thing I like to call “facon.” Slice the mushrooms into really thin strips, and coat them in a mixture of smoky paprika, brown sugar, salt, and pepper and let them sit for a bit. Then fry them at fairly high heat so the outside gets a little crunchy and the inside stays chewy. I probably eat king trumpets two to three nights a week. Any exciting new goods we can look forward to in the next few weeks? We’re starting to work with Bluma flower farm, which is out in the Sunol AgPark. (Inside scoop: we’re also starting to produce our own bouquets here at the Hub using flowers from our producers like Joanna at Bluma. Keep on the lookout!) I’m also always excited about melons when they’re in season — Charentais from Full Belly is one of my favorites — super musky, super sweet. What are you looking for when you’re scouting out these new goods to bring to our customers? We focus strongly on sourcing locally, which comes with a slew of benefits: money stays in the local economy, and produce can be harvested for ripeness, flavor, and above all, freshness — just like those Masumoto peaches I mentioned. I’m proud to say our sourcing standards don’t start and end with whether something is certified organic. We source from a lot of small operations that can’t afford USDA certification, but because every farm we work with is 100% transparent, I can go visit the field, get to know the farmer, and see first-hand that their practices meet all the same standards, if not more. I’m proud to say our sourcing standards don’t start and end with whether something is certified organic. We also place an emphasis on labor practices, and the people behind the food. We work with folks who grow a nice diversity of fruit and vegetables so they can provide year round employment, steady income, and benefits that go way beyond the industry standard for their field crew, as opposed to supporting larger organic operations that require their workforce to travel up and down the coast with the season, which can really disrupt family life. More and more people are becoming conscious consumers, placing significant interest in those standards you just mentioned when buying their groceries each week. With that in mind, what’s your outlook on the future of small scale farming? I’m both optimistic and pessimistic right now. Pessimistic because the cost of production is a lot higher when you’re harvesting by hand, or harvesting for quality rather than quantity. That’s hard to compete with when the American consumer is used to seeing rock-bottom prices elsewhere that come at the expense of the environment, worker health, and the flavor and nutrition of our national diet. But I’m excited that there are new market avenues like Good Eggs, and that more and more people want to support a new, more sustainable food system. Even just 5 years ago, farms could only sell their best products through farmers’ markets, CSA programs, or a handful of specialty retailers. Now, those same farms can reach the entirety of the Bay Area in a super convenient, impactful way and at the same time have a partner in championing their mission.